I thought this was a splendid-looking shoe, dressed in rich yellow with a fly red sole and black accents. Beyond the bright and cheerful color, the exterior of the shoe is relatively plain, with overlays that match the egg-yolk color of the mesh. I’ve found in the past that Topo shoes fit my feet well, and I appreciate their functional design philosophy. The Terraventure 2 was no different: as soon as I put them on they felt comfortable and familiar. On the foot, the Terraventure 2 fits like other Topo shoes, with a relatively wide toe box, a snug midfoot, and modest (3 mm) heel-to-toe drop. 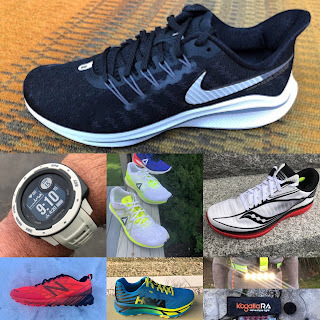 I recently tested the Ultraventure and the two shoes have a lot in common, in terms of shape, feel, construction, and style.The reader is advised to at least skim the RTR review of this shoe which may cover details not mentioned here. In my experience, and echoed by most other reviewers, Topo shoes are consistently true-to-size. The Terraventure 2 is no exception, and my US Mens 10 felt perfectly sized. Topo shoes may not ideal for people with very narrow feet, nor excessively wide. But for for most runners, I suspect Topo nails a happy middle ground. The wide toe box provides room for toe spread and good ground feel, but remains snug enough to avoid the shoe feeling sloppy. In addition to the exuberant yellow colorway of our test pair, the Terraventure 2 is available in more muted olive and dark red colors for those who prefer to fly under the radar. Structurally, the upper is very nicely designed. The primary fabric is a relatively open mesh that strikes a nice balance between stretch and foot retention. The overlays seem functional, rather than cosmetic. As with the Ultraventure and Runventure, the principal structure of the heel counter is external, and also provides attachment points for Topo’s proprietary gaiters. I discussed my experience with these in other reviews. Briefly, I found they mostly worked well but putting them on in poor visibility or with numb fingers was definitely difficult. The heel collar of the Terraventure 2 is overall a little lower than in the Ultraventure. I prefer the Terraventure: the lower heel still grips well and makes the shoe feel more nimble. The tongue is nicely padded and fully gusseted. No minuses there. Similarly, the laces are a good thickness, easy to grip, the right length, and have just enough stretch to stay tied. The rockplate in the Terraventure 2 gets the balance about right. The shoe maintains good flexibility and ground feel, while providing decent rock protection. My quibble, though -- and I appreciate this may a matter of taste -- is that I don’t really see the necessity of the rockplate in the first place. Topo’s new Ultraventure shoe weighed 606 g (per pair US M10), and the Terraventure 2 644 g, so a difference of 19 g (0.67 oz) per shoe. 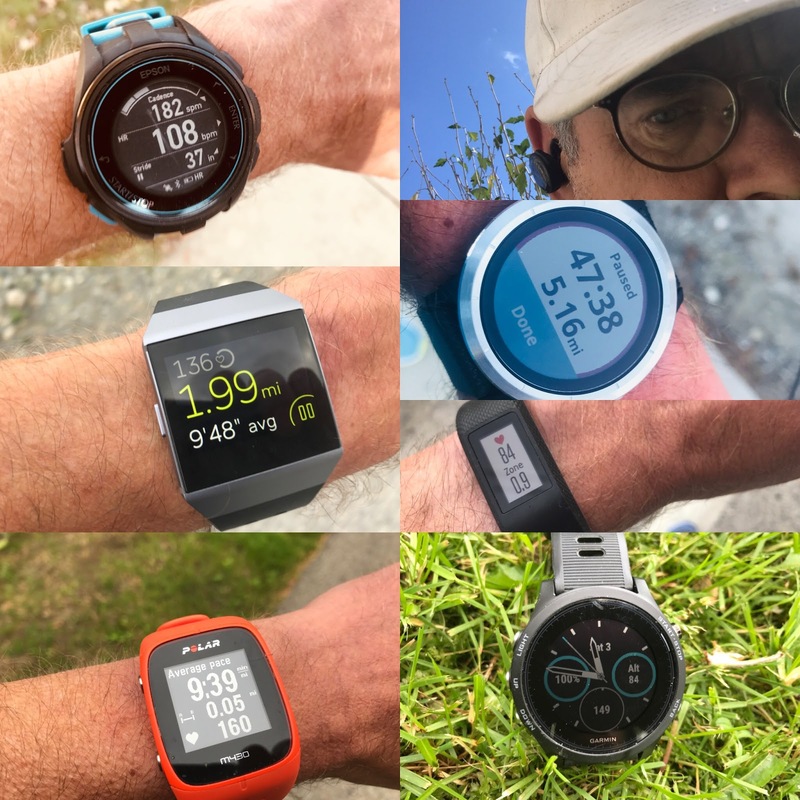 The Ultraventure doesn’t have a rockplate, but offers almost as much protection by virtue of extra forefoot stack height (25 mm vs 22 mm in Terraventure 2), and In theory, stability ought to be better in the Terraventure 2; but in testing I found the difference to be slight. Consequently, I’m left scratching my head to understand the role Topo envisage for the Terraventure 2. The rock plate in Topo’s excellent Runventure 2 shoe makes sense as this lower, lighter shoe would otherwise be very lacking in protection. But with the Terraventure 2, it’s hard not to observe that the Ultraventure offers similar performance at a lighter weight. The outsole of the Terraventure 2 is made from Vibram XS Trek, and appears to be identical to the outsole of Topo’s Ultraventure shoe. For the Ultraventure, all of RTR’s reviewers felt that outsole traction was excellent, including in the wet, and that mud/snow clearance was also very good. I tested the red outsole of the Terraventure primarily in dry, dusty Southern California conditions, but also in the snow on a trip to Utah. As expected grip was great, and durability looks promising. The Terraventure 2 is an excellent trail shoe. It serves up a well-balanced buffet of stability, rock protection, and ground feel. Traction from the Vibram XS Trek outsole is outstanding. The refined upper is clean and functional, and provides excellent foot retention, comfort and breathability. The overall shape of the shoe, in common with Topo’s other shoes, feels natural, following the anatomic form and leaving room for toe splay. My only critique of the shoe is the weight. In isolation, it’s another highly-competent offering from Topo. But I can’t help but compare the Terraventure 2 to its sibling, the Topo Ultraventure, which offers a similar experience at a lighter weight. My assumption is that the extra weight of the Terraventure is due to the rockplate embedded in the midsole. This shoe does everything well, but weight is disappointing: It should be lighter than the Ultraventure, not heavier. If you like rockplates, the Terraventure 2 has one; the Ultraventure does not. Otherwise, the shoes are similar, with the Terraventure 2 having a slightly less supportive upper. The Ultraventure has a higher stack (30/25 mm vs 25/22 mm) but surprisingly is lighter (606 g vs 644 g per pair, in US M10 sample shoes). The Ultraventure has a softer, more cushioned heel, due to its compression molded insert there that is a little friendlier to heel strikers. Stability of Terraventure 2 is marginally better since it rides closer to the ground. Personally, I’d give the nod to the Ultraventure. The Runventure 2 is lower, lighter, and feels like a more minimal shoe. The Terraventure 2 is a better choice for longer runs or rougher terrain. Both have rockplates, but the one in the LP4 doesn’t provide much protection. Stack height in LP4 is 25 mm front and rear; Terraventure 2 is lower at front (25/22 mm). Both shoes tip the scales a little heavier than they should, at essentially the same weight (Sample pair of LP4 648 g, Terraventure 2 644 g). Terraventure 2 a little firmer underfoot. With its removable rockplate installed the Superior is surprisingly similar to the Terraventure both in weight (Superior 3.5 heavier by 10g per pair) and underfoot feel. The Terraventure has better wet grip, and better foot retention (unless you downsize the Superior, which I think runs a little large). The removable rockplate of the Superior may be an attraction for some. Stack height is almost identical. I prefer the shape of the Terraventure 2, which is a better anatomical match for my foot. The Terraventure also has the edge on rock protection. Grip from both shoes is excellent, and picking a winner would depend on precise usage scenario. I prefer the lower heel collar of the Topo, and felt that the Torrent was overbuilt in this area. Torrent however, has a significant edge in weight: Torrent is 86 g (3 oz) lighter per pair, which would be a big factor if you plan to race in them. Dom Layfield lives in Southern California after several years in Park City, UT. He is an avid trail runner who likes to race. He holds a PhD in biomedical engineering from MIT, and has worked as a researcher in orthopedic biomechanics. His 2017 achievements include first place in the dead of winter 2017 108-mile Spine Challenger race in the UK, breaking the course record by an hour, first place in the Quicksilver 100K in California, and 14th at the Western States Endurance Run. In 2018 he ran 2:46 at the Los Angeles Marathon, and then, coming back from foot surgery finished 50th at UTMB. The Topo Terraventure 2 was provided at no cost. The opinions herein are entirely the author's. Hey guys! Love the reviews. One clarification- the section under fit cites the drop as the Terraventure 2 as a 5mm one, however later in the comparison to the Ultraventure it's stated to be 3mm. Splitting hairs here (almost literally), but I believe the true drop is 3mm. Otherwise keep up the good work! Thanks Curt and Thanks for the catch! Happy to help! Looking forward to the Superior 4 and Trail Glove 5 reviews. On a related note, have you all ever considered reviewing a huarache? Winter may not be the best time for it, but they're definitely fun and don't get enough attention! Thank you for the review. I love Topos. Do you have any information on the 2019 release dates of the MT3, MT Racer, & Fli-Lyte 3? Thanks for asking. We will be reviewing all three. MT3 releases May, Mountain Racer June, and Fli-Lyte 3 April. Would you say the sizing is similar to the LP4? I wear a straight size 10 (true to size) in the Lone Peak 4 but feel like this would be more suitable for what I am looking for. Thanks! Thanks for your review, really insightful and helpful. I'm trying to decide between the runventure 2 and this terraventure 2 - Apart from the weight are there any important factors that you think would help in that decision? Most of my trail running is in Florida, so sandy and rooty, but also some rocky technical terrain.